Music always played a large role in the life of Jacqueline (Jackie) Vito LoRusso '62, '65. Growing up in Buffalo, she began studying piano at age 8, and she played in the elementary school orchestra and at school assemblies. As a teenager, she worked as a pianist at a local dance school. After earning bachelor's and master's degrees in elementary education from Buffalo State, she taught in the Maryvale School District and at Elmwood Franklin School. In this role, Jackie continued to share her love of music. She incorporated music into the school plays she wrote and directed. She sometimes pulled out a ukulele in class to play while her students sang. "I think music brings out creativity in kids," the former teacher said. "It provides a break in the study program and becomes something kids look forward to. You can learn things from songs as well (as book lessons)." Jackie, who now operates a property management company, wants to help Buffalo State students pursue their love of music. She provided the Music Department with a generous gift designated for scholarships through the Transforming Lives: A Campaign for Buffalo State fundraising initiative. She was honored during a dedication ceremony November 4 for the new Ciminelli Recital Hall, prior to a concert by Buffalo Philharmonic Orchestra conductor and classical guitarist JoAnn Falletta. 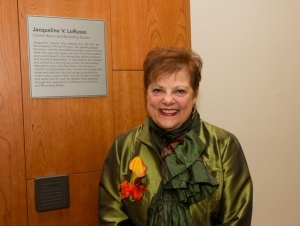 A recording studio, which is part of the new state-of-the-art recital hall complex on the third floor of Rockwell Hall, was officially named the Jacqueline V. LoRusso Control Room and Recording Studio. "My Buffalo State education helped make me successful in life. It made me well-rounded and gave me an outlook for life that I have carried with me," Jackie said. "I felt I received the best education to become a teacher, probably better than other colleges available in the state. 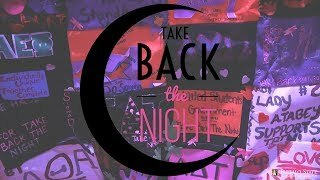 And I felt it was time to give back." Louis P. Ciminelli, chairman and CEO of LPCiminelli Inc., for whom the recital hall was named. Edward P. Klein, in honor of his wife, Lois Rowland Klein. The recital hall lobby was named the Edward P. and Lois Rowland Klein Lobby. George Richmond, in honor of his wife, Joan Steinmiller Richmond. The recital hall stage was named the Steinmiller Stage. Doris Peterson, in honor of her mother, Edna Rosner Rowland. The music studio was named the Edna Rosner Rowland Teaching Studio. Following the dedication ceremony, Falletta, along with clarinetist Robert Alemany and the Clara String Quartet, performed before a sold-out crowd in the 194-seat recital hall.